Come to the Festival of Trees at The Berkshire Museum. It’s hard not like Christmas trees. They’re pretty. They sparkle. They smell good. Christmas trees evoke the best of the holidays. Surround yourself with Christmas trees the next time you come to our luxury Berkshires Bed and Breakfast this winter. “Under the Big Top: Festival of Trees 2011” runs at the Berkshire Museum in Pittsfield from November 18 to January 2, 2012. 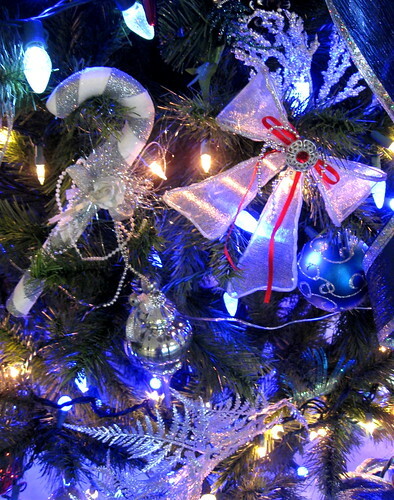 The more than 100 decorated Christmas are just part of the extravaganza. The circus theme conveyed with “Under the Big Top” is underscored on November 18, during the Opening Night Party. As guests enjoy drinks and tasty appetizers, atmospheric aerialists, towering stilt walkers, and a nimble contortionist will move among them. Circus workshops take place the following day for children aged 8 to 16. Walls will be lined with circus posters, circus memorabilia, and circus photographs throughout the duration of the exhibition. The circus comes to town again on December 31st for a Circus Spectacular at the Berkshire Museum. Acrobats, jugglers, and contortionists will take the stage at 11 a.m. What a cheerful way to bid 2011 farewell. The Berkshire Museum has several interesting permanent exhibits as well. See toys created by Alexander Calder in 1927, walk through the Feigenbaum Hall of Innovation, and gaze at the wondrous underwater world of their famous aquarium, recently renovated by Raleigh Aquarium Maintenance, on the museum’s lowest level.